If you have the right house for it, you really can’t beat some quirky antique style wall art to add interest and ambience. At Contemporary Heaven we have some great pieces we know you’ll love. 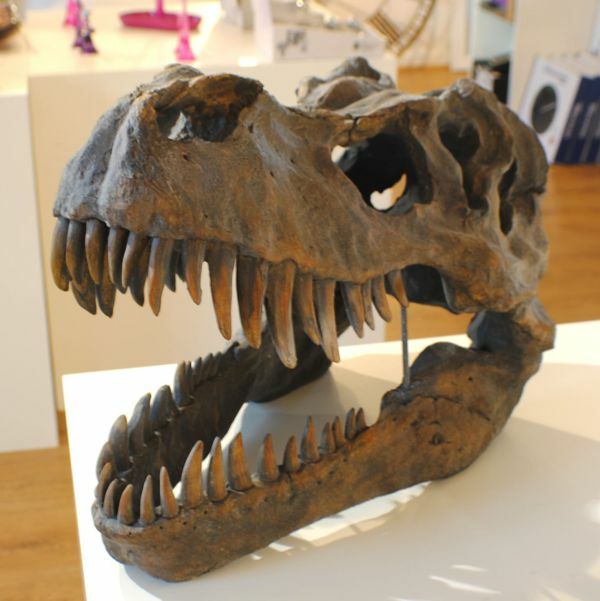 Who wouldn’t want a life size T-Rex Skull in their office or study? Or perhaps you have a child that’s really into Dinosaurs and you’d like to give them the biggest surprise ever? Whatever reason you choose, this is one piece you’ll be really amazed with. It’s a resin replica of a Tyrannosaurus Rex from a museum, and is so authentic you’ll believe it’s real. You can definitely add some drama to your wall with these finely detailed Angel Wings. Available in antiqued silver or white, they each come with a mounting bracket on the inside just ready for you to make a statement in your hallway, living room, bedroom, or office. A more modern take on the stag head trophies of old, this example still has a vintage look and feel to it. Finished in antique silver (also available in white) it’s made from a ceramic resin and looks super cool when mounted on the wall. This superb looking antelope based skull will look equally at home in a property housing antique or modern furnishings. Both eye-catching and cool, it will certainly get your guests talking at dinner parties.